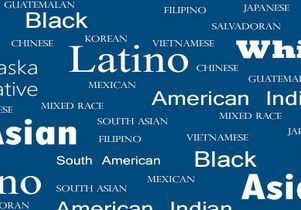 The UCLA Center for Health Policy Research has issued a series of easy-to-read fact sheets with health statistics on five major ethnic and racial groups in California — whites, Latinos, blacks, Asians and American Indians/Alaska Natives, as well as more detailed information on Latino and Asian subgroups. A new visual report also provides infographics on key findings from the profiles, which used data from the 2011–12 California Health Interview Survey (CHIS) to explore a range of health topics, from insurance status to fruit-and-vegetable consumption to binge drinking. The profiles provide a detailed and reliable source of information for policymakers, advocates, researchers, media and others interested in understanding the health of adult Californians, particularly those from previously understudied ethnic and racial minority groups. Of specific interest are key health statistics for five groups within California’s Latino population (which accounts for 9.5 million of the state’s 27.8 million adults), including separate data for U.S.-born Mexicans and Mexicans born outside of the U.S., and health information on half a dozen Asian groups (3.9 million). Latino ethnic groups covered include Mexican, Salvadoran, Guatemalan, other Central American and South American. Asian groups include Chinese, Filipino, Japanese, Korean, Vietnamese and South Asian. Approximately 6.2 million California adults (26.6 percent of the state’s adult population) had no health insurance for all or part of the past year. Nearly six of 10 Asians in the state had employment-based health insurance, compared with five of 10 Californians overall. Among Asian ethnic groups, the figure ranged from a high of more than seven of 10 for South Asians to fewer than four of 10 for Koreans. For Latinos overall, fewer than four of 10 had employment-based insurance was, while Guatemalans had the lowest rate — two of 10. More than 70 percent of adult Mexicans born outside the U.S. had household incomes under 200 percent of the federal poverty level (less than $46,100 for a family of four in 2012). For U.S.-born Mexicans, the proportion was much lower, at 44.3 percent. About one-third of all Californians walked regularly on a weekly basis. Latinos had one of the highest rates, at nearly 35 percent, and Salvadorans were the most frequent walkers, with a 41 percent rate. More than 6.8 million Californians — a full quarter of the adult population — were obese. Less than one in 10 Asians was obese, while nearly four in 10 blacks and American Indians/Alaska Natives were. Read the full 2011–2012 Racial and Ethnicity Health Profiles.